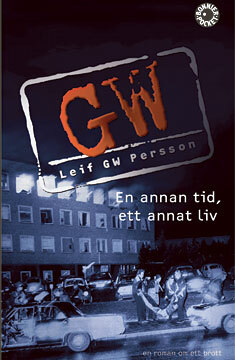 Another Time, Another Life, by Leif GW Persson, is scheduled to be published in the U.S. in March, 2012 (by Pantheon, in translation by Paul Norlen). The novel is a sequel to last year’s Between Summer's Longing and Winter's End, and both have the subtitle, “The Story of a Crime,” which inevitably suggests the great Martin Beck series by Maj Sjöwall and Per Wahlöö (especially in the Swedish context). 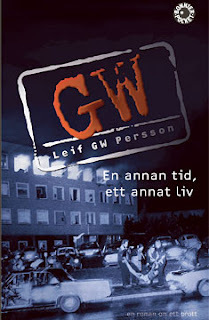 But Persson is doing something different from S&W, at least in these first two volumes of what is said to be a trilogy: he is dissecting a particular crime with national and international consequences, brought into the perspective of the daily routines of the investigating police (who are portrayed warts and all). S&W were focused more closely on the lives of ordinary citizens stressed by the tensions of the welfare state of the 1970s in Sweden. But Persson's writing shifts back and forth between an almost documentary style and a fictional form, drawing the reader along seamlessly through story and history. The earlier book led up to the assassination of Olaf Palme, and this newly translated one begins with the bombing of the German embassy in Stockholm in 1975 by factions of the German radical movement that’s generally lumped under the heading “Baader Meinhof Gang.” There are several jumps forward from the year of the bombing to the late ‘80s (and the fall of the Soviet bloc) to the late ‘90s, when a murder in the ‘80s comes into focus with the embassy bombing. Along the way, Persson depicts the security establishment of Sweden is less-than-flattering terms, while also repeating to the point of comedy the policemen’s assessment of one another as a “real policeman” and their work as “real police work.” The same pattern is to be found in the earlier book, as well. One of the interesting things about reading these two books is the way they interlace the history of modern Sweden and the lives of the characters who appear in both. But in the second book there is a new twist. Many readers have remarked on the sexism of Between Summer’s Longing and Winter’s End, with some wondering whether Persson was portraying accurately the macho attitudes of the police of the time or was perhaps himself betraying his own attitudes. The new book doesn’t answer that latter question, but here he’s playing with the sexism/machoism in a blatant way. Jarnebring, the lead detective of the first sections of the book keeps referring to his new female partner but both he and the narrator refuse to give her a name. She turns out to hold her own, though, forcing them to recognize her as an individual. And soon after, a contrast is drawn with an old-line male pathologist and a new female one who is far more knowledgeable and professional than the male (though one running character in Persson’s books, Detective Bäckström, refuses her conclusions and goes to the old man for confirmation of his own prejudices about the victim. Those prejudices (and Bäckström’s other sins) come back again in an amusing way in the last pages of the book, while the story has shifted to a squad made up of Jarnebring’s friend and now superior officer (Johannson) and three hyper-competent female detectives. But neither the narrator nor the police environment has suddenly become enlightened on the topic of gender: the police and others continue to utter disparaging remarks about women in particular and specific female characters as well. If the sexism hasn’t disappeared, it’s at least interesting (and often funny) when thrown into the stark contrast that Persson accomplishes in Another Time, Another Life. And Another Time is indeed an accomplished work of crime fiction, holding my interest easily through it’s 400-plus pages and offering a subtle and complex payoff at the end. 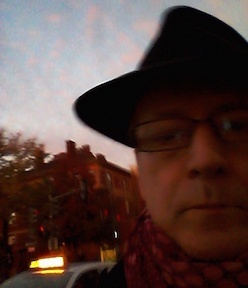 Persson is, we’re told, a leading expert on crime in Sweden and a criminal profiler much in demand. He has experience and authority in his portrait of the police (in a way that begs comparison with the past master of the police story in the U.S., fictional and documentary, Joseph Wambaugh--also known for the comic elements of his books). In addition to the trilogy, it looks like all of his books recycle the characters in the two translated books, leading me wish for more translations beyond those apparently planned at the moment (at least one film based on his books, The Man from Mallorca, had international distribution some years ago). As a point of disclosure but also an explanation of the cover pasted into this review, I received an advance galley of Another Time, Another Life from Pantheon, its U.S. publisher: the galley was bound in a plain yellow wrapper, but inside was a possible cover that more or less matches the style of the U.S. cover of Between Summer's Longing and Winter's End, but I haven’t been able to find an image of it anywhere--hence the Swedish one that shows up above--which I actually prefer to the U.S. covers anyway because it ties the story to the historical event (without being quite as explicit about the violence of the event as another cover published for the book in Sweden). fascinating post, Glenn. I read BWLASE but I really could not get on with it. I did find the sexism in it (whether the author's or his characters not speaking for him!) sick-making but I could have put up with that as it is probably, sadly, realistic. What I found impossible was the slowness of the book, the very roundabout way in which plot elements were introduced and dropped, but mostly all the characters - there were so many male police, retired police and security men that I just could not keep them all distinct in my mind, as the characterisation was not great (most of the men seemed exactly the same as each other). In short, I just could not keep track, though in the end, the solution to the main mystery in this novel was very simple. I am really not sure if I could face another, simply because I found it all so confusing. I've read plenty of long and complex novels and had no problem keeping track, so I have to conclude that it is something to do with the author on this occasion. And I do think he is a bit cheeky, pinching S/W's exact umbrella title. Like the Swedish cover, too!